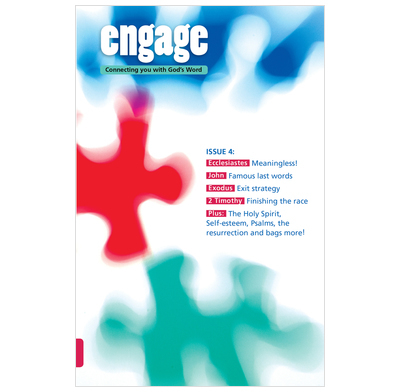 Issue 4 of Engage looks at Ecclesiastes, John, Exodus, 2 Timothy & Psalms. Issue 4 of Engage - daily Bible reading notes for teenagers. This issue looks at Ecclesiastes, John, Exodus, 2 Timothy & Psalms. It also has features on self-esteem, the resurrection and the Holy Spirit. Tricky: Did the resurrection happen?